Planning to visit the city of love and looking for the most romantic spots? 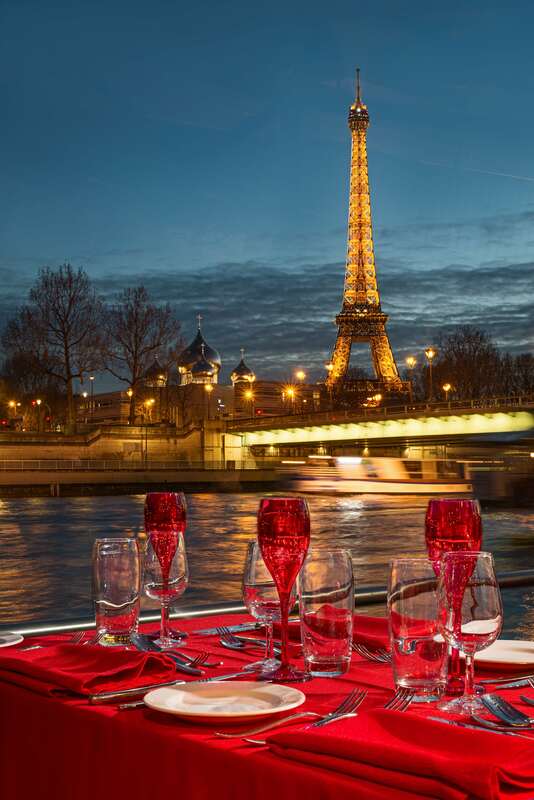 One of the most profound and romantic experiences is a dinner cruise in Paris. 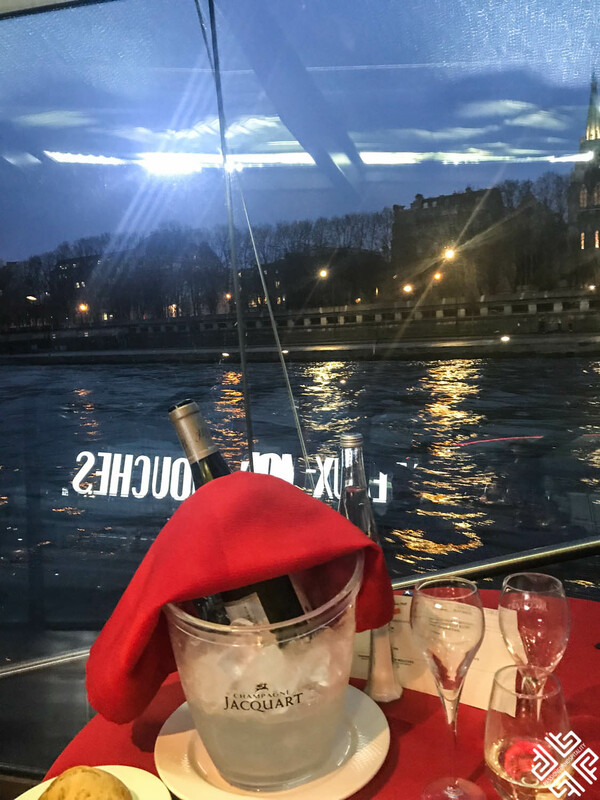 Whether you are celebrating your love, visiting Paris on your honeymoon or wish to celebrate a birthday, Bateaux Mouches dinner cruise is the best way to see all of Paris’ landmarks while cruising along the Seine. 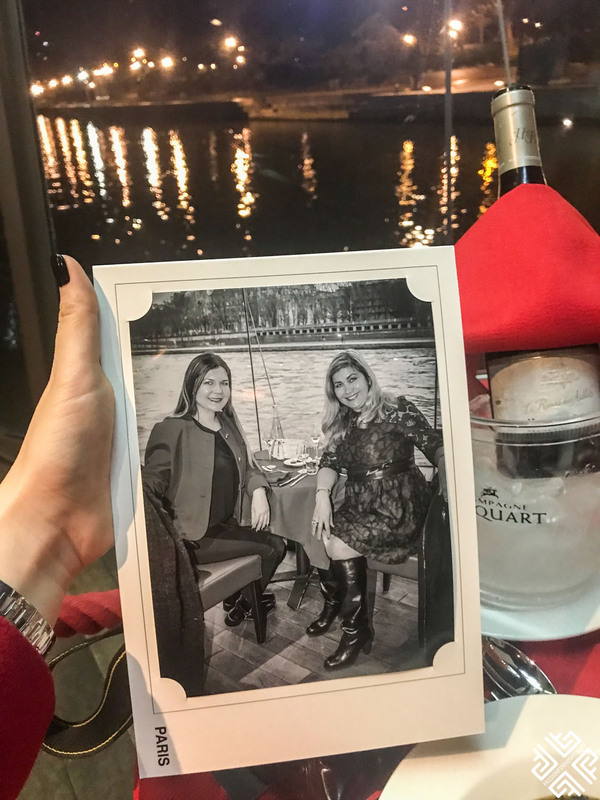 During my recent trip to Paris we celebrated my mother’s birthday with a diner cruise on Seine. 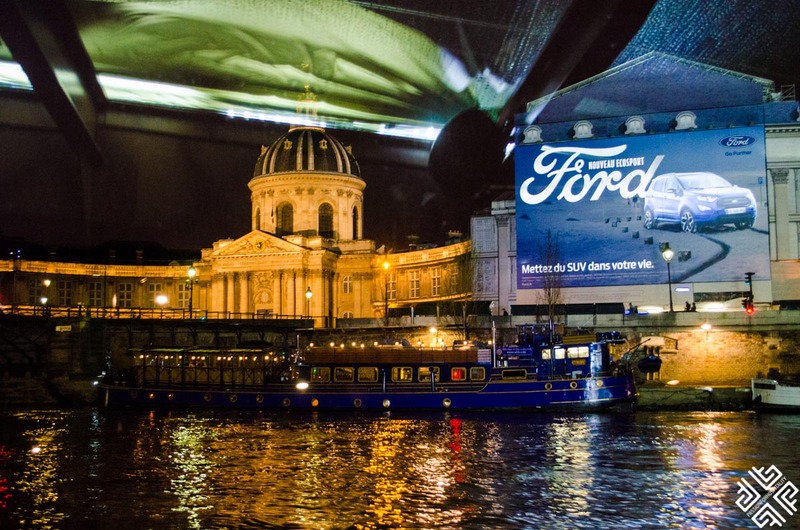 Before planning our Paris itinerary she expressed her desire for a cruise experience in Paris. 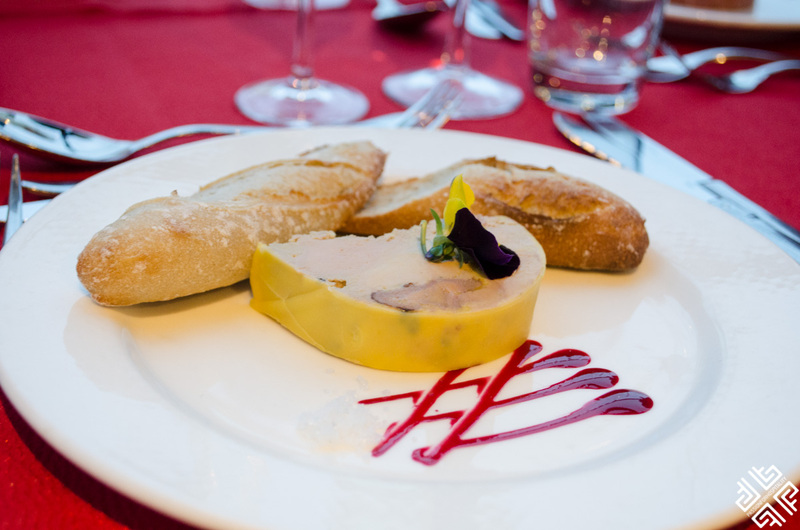 Bateaux Mouches, offers a rich selection of experiences throughout the day however we opted for an evening Excellence dinner menu. 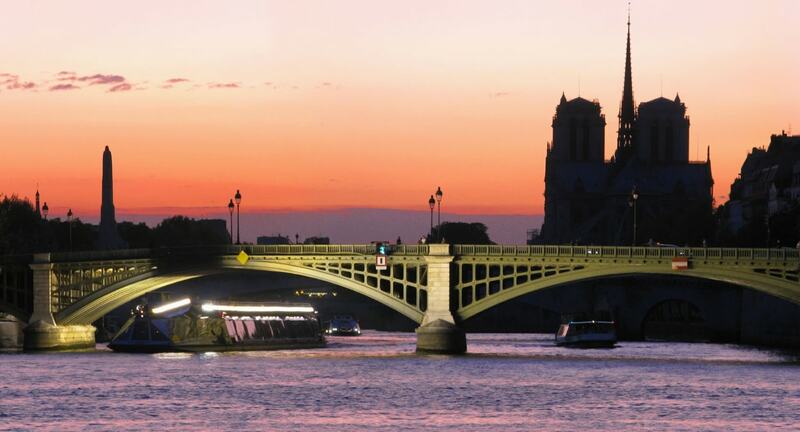 Paris is wonderful at all times of day, however in the evening its magical charm will completely enchant you. 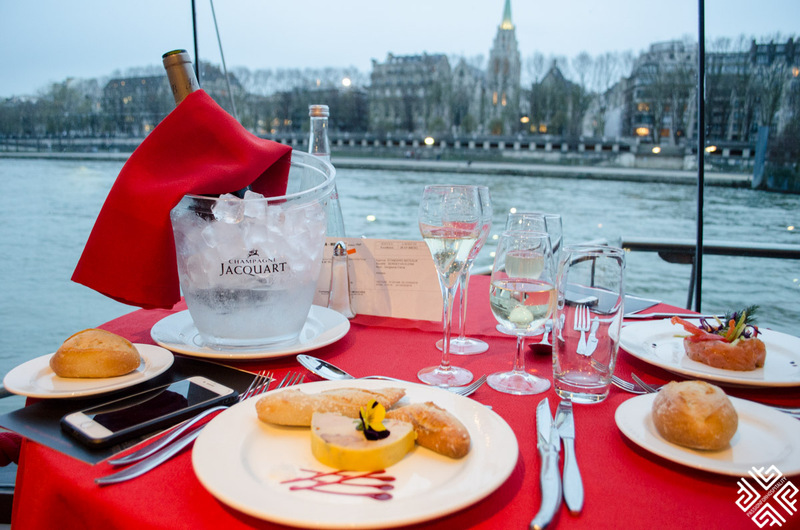 Founded in 1949 by Jean Bruel, Compagnie des Bateaux-Mouches offers the best dinner cruise on Seine. 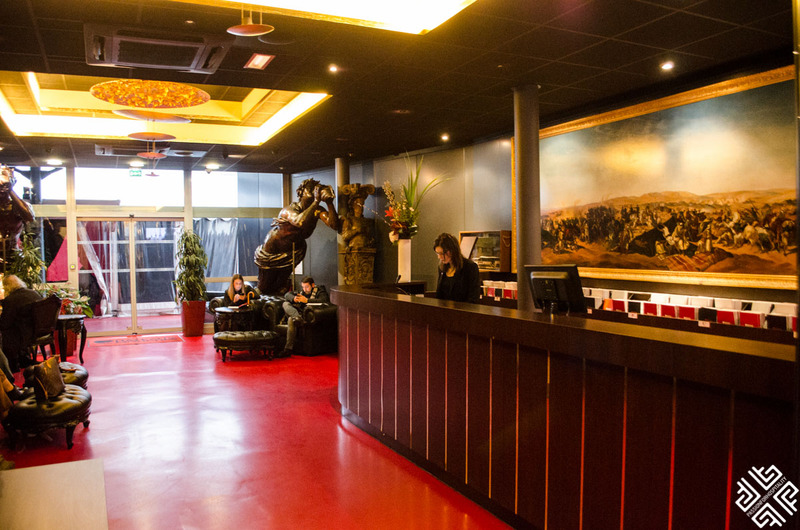 The starting point is at Bateaux-Mouches Pont de l’Alma where you are first greeted by the welcoming reception staff and seated at the lounge before boarding the boat. Just a few minutes before 8pm we were escorted to our table on the Jean Bruel boat. 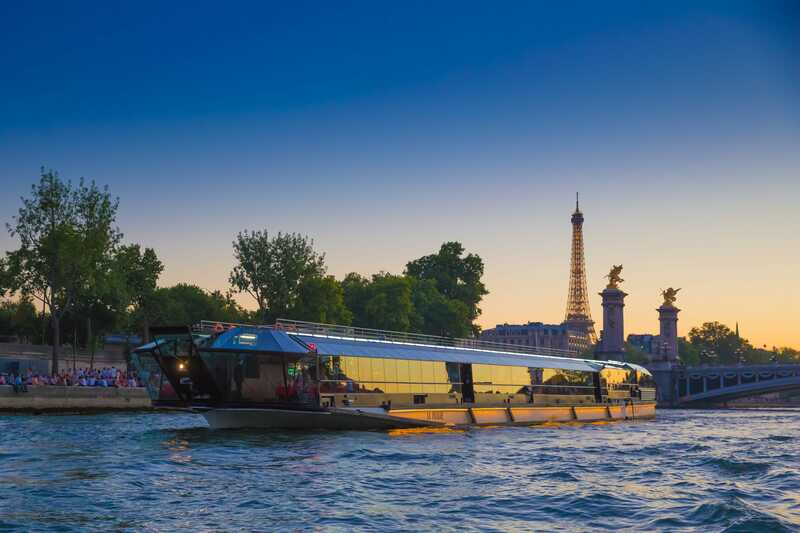 The beautiful, modern fleet with glass windows is designed to offer the best views of Paris while you enjoy your a la carte dinner, admiring the city of lights. 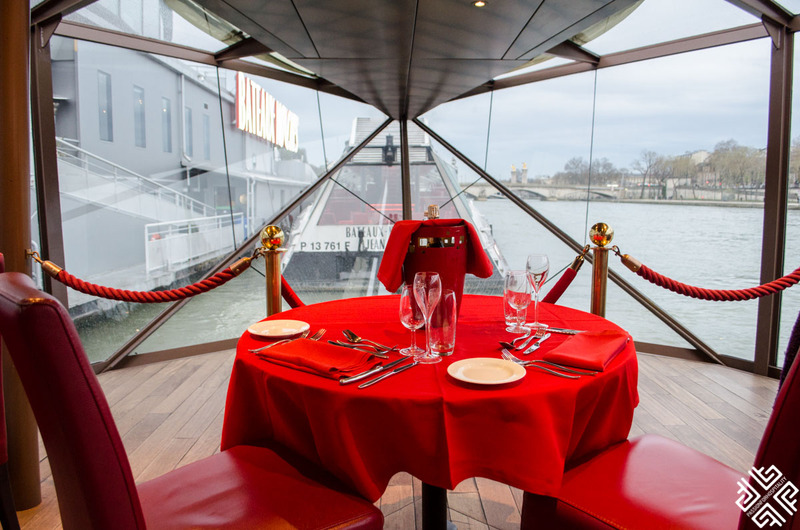 Our table was located right at the bow from where we had exceptional view of all the landmarks. For starters we were offered a glass of Champagne and a plate of small nibbles. 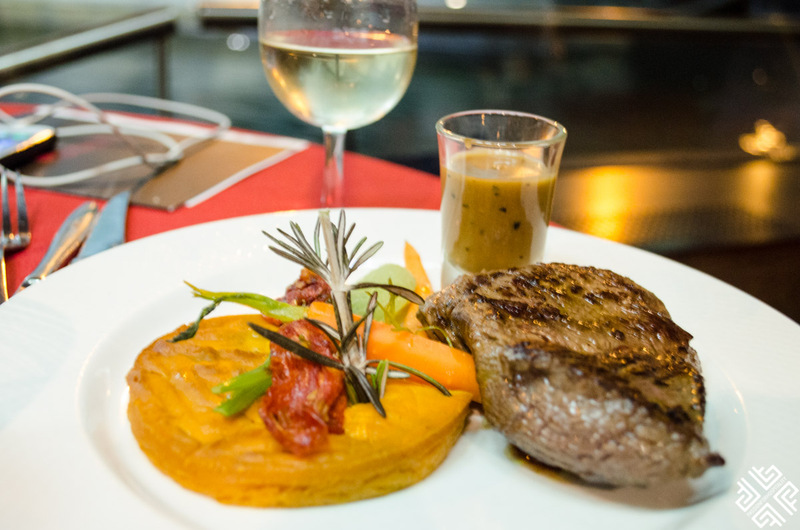 The menu comprises of a selection of starters, main courses, trio of seasonal AOP cheese, desserts, a bottle of wine (one bottle for 2 persons), coffee or tea and cognac VSOP André Petit. 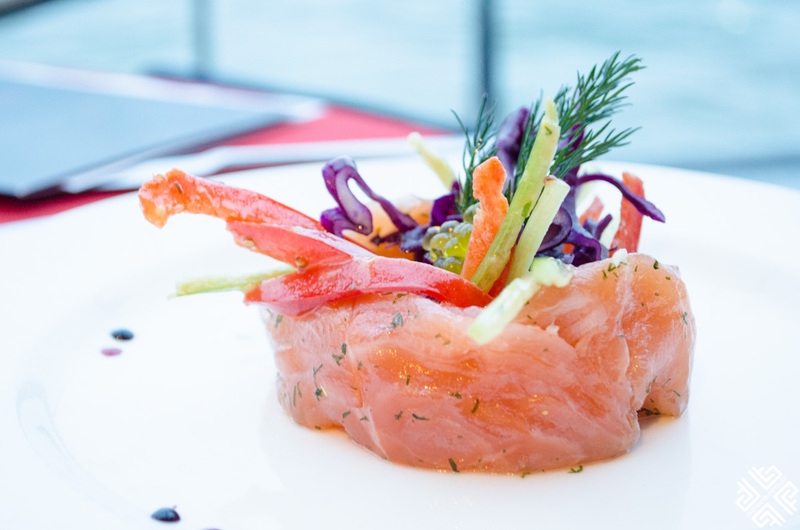 We selected the caramelised smocked foie gras and honey-marinated salmon served on a crispy vegetable medley for starters. I ordered the lamb shank with buttered quinoa and my mother had a fillet of beef with sweet potato royal topped with pepper sauce. There are vegetarian options too. 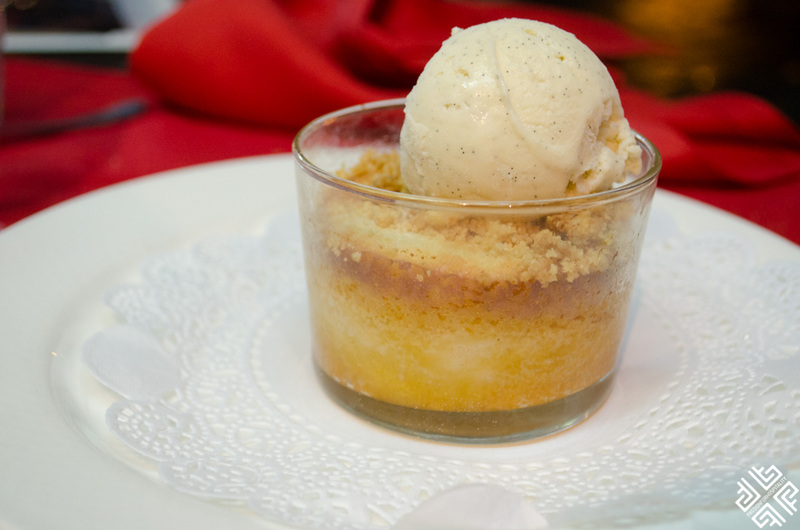 Overall there is a selection of 5 dishes both starters, main courses and desserts that you can choose from. The portions are generous and the food was exceptional. 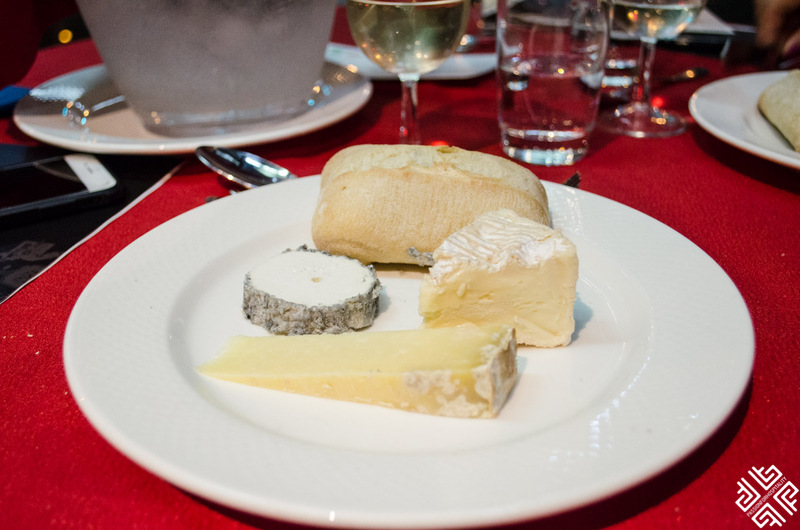 After we had finished with our main courses we were offered a plate with three different cheese. 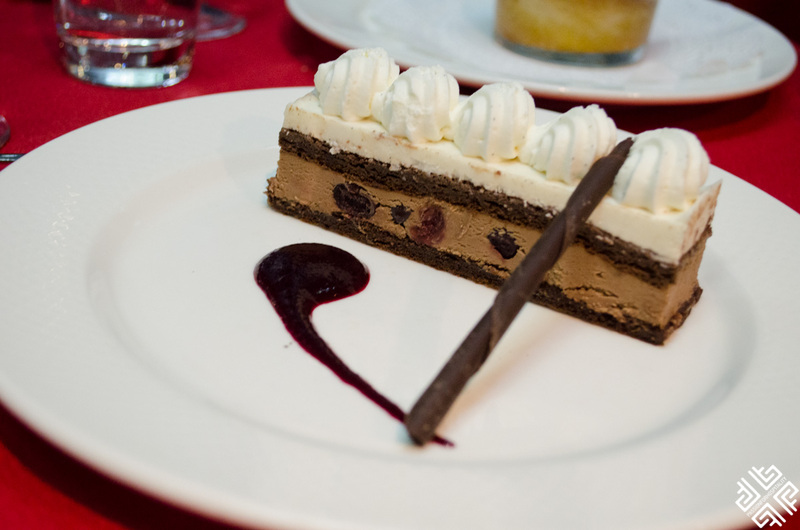 We topped off our meal with Black Forrest cake and Almond pear verrine. 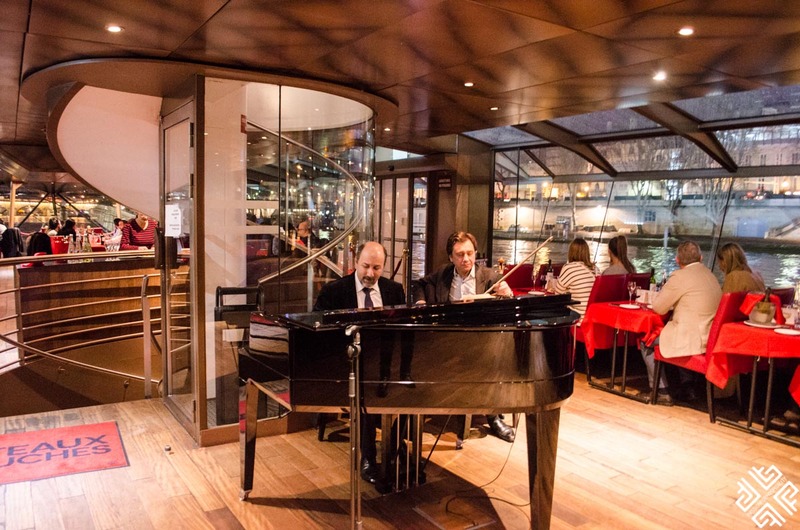 As we slowly drifted away from the harbour and moved gently along the Seine, there was beautiful live piano and violin music playing in the background. We passed the Place de la Concorde, the Palais du Louvre moving towards the Musee d’Orsay which is Paris’ old railway station constructed in the 19th century. Once we reached the renowned Notre Dame the boat turned and sailed in the direction towards the La Tour Eiffel passing by the oldest stone bridge in Paris which dates back to the 1606 — Le Pont Neuf. We reached the Eiffel Tower just in time for the 10pm light show, when the Iron Lady sparkles in the night for a duration of five minutes. 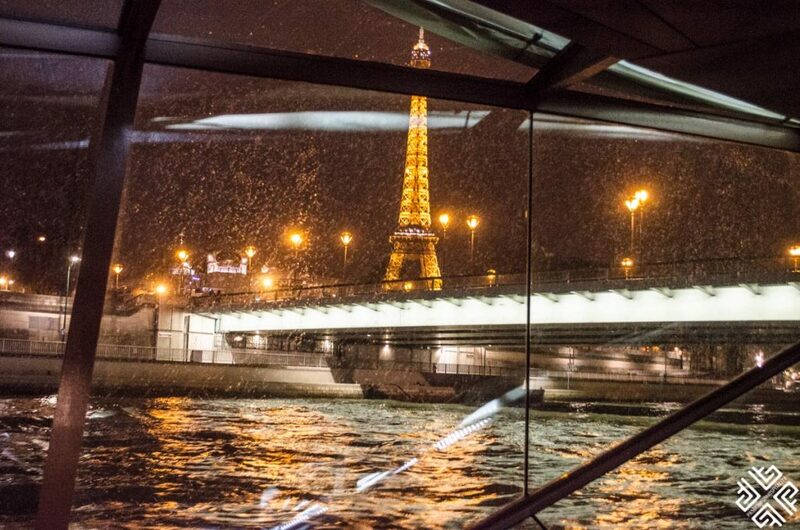 This is definitely one of the highlights of the dinner cruise in Paris. We then headed towards the Palais de Chaillot before returning to the harbour at 10:45pm. 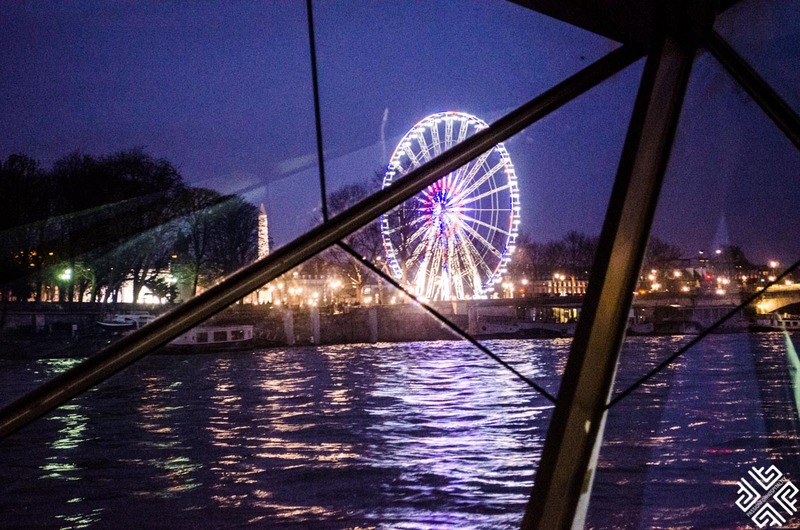 We were left with the fondest memories of our dinner cruise along the Seine. 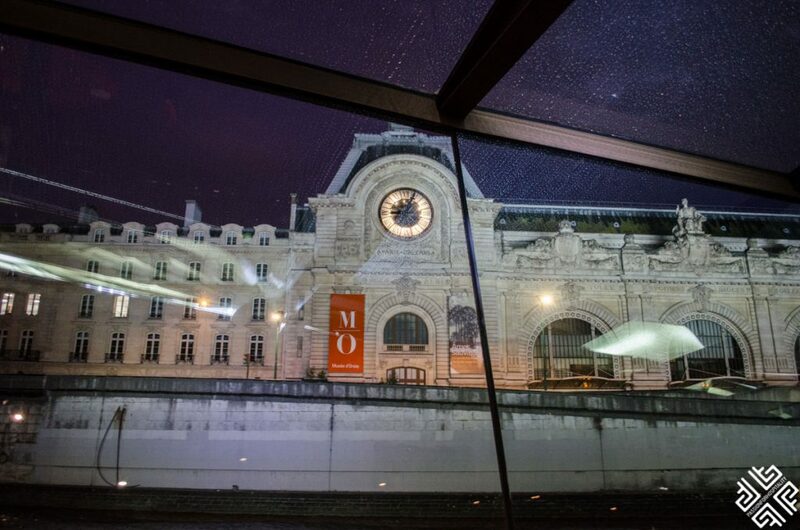 The service, the ambience and the high-class French cuisine all complemented this wonderful evening in Paris. There were other guests on the vessel who were also celebrating their birthdays — dancing and singing filled the atmosphere with a joyful mood. 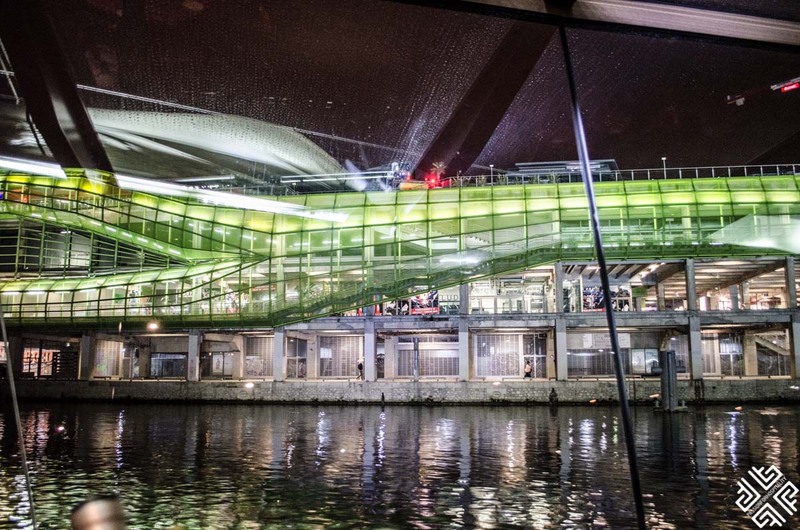 If you want to learn more about French wine then perhaps you might like to spend 48 hours in Bordeaux. 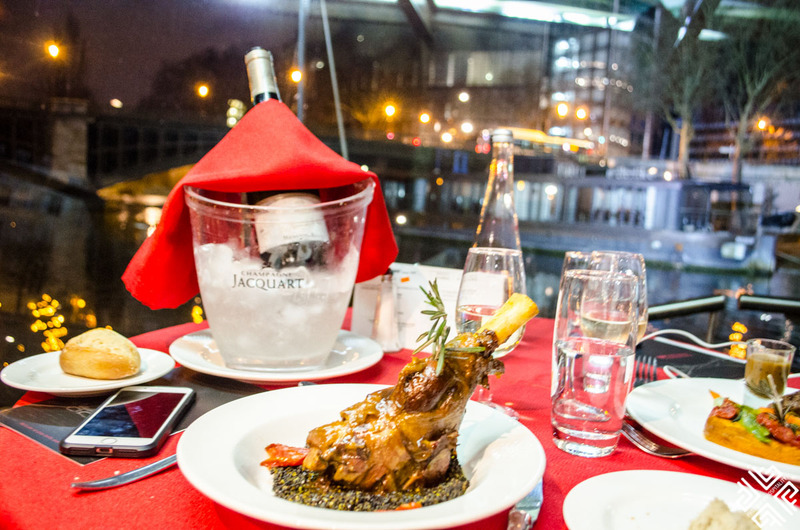 *Passion for Hospitality was a guest of Bateaux Mouches, all opinions expressed are always my own. I wish to experience the cruise because I am going to Paris for the first time in my life mid May and it‘s been my dream since I was a little girls. The most fantastic thing is that I go with my husband and it would be an absolute highlight of our trip ???? I would love to go on a cruise and have the chance to visit Paris, I would love to go with my best friend and make great memories together, It would be an amazing experience ???? Since a was a little girl I wanted to travel to Paris, it has always been my dream, and going on a cruise makes it even better, thankyou for the amazing opportunity, wishing yall the best of luck ???? 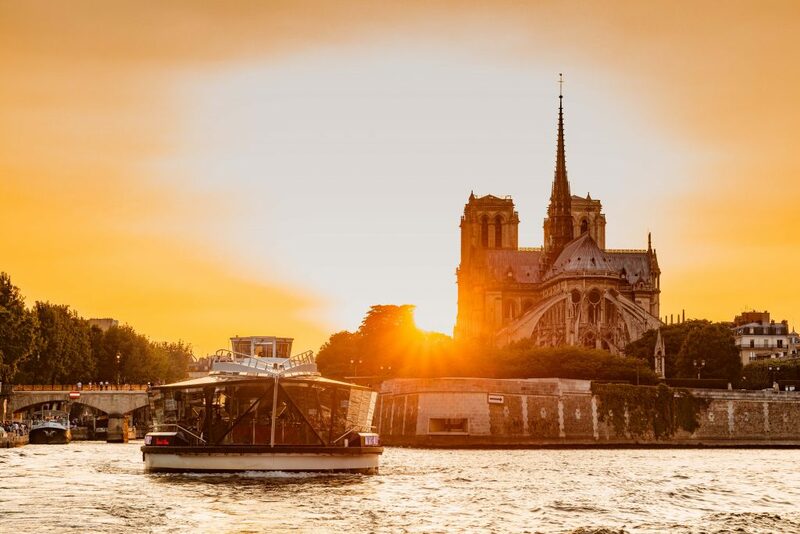 Paris is a dreamland destination! The post was great!